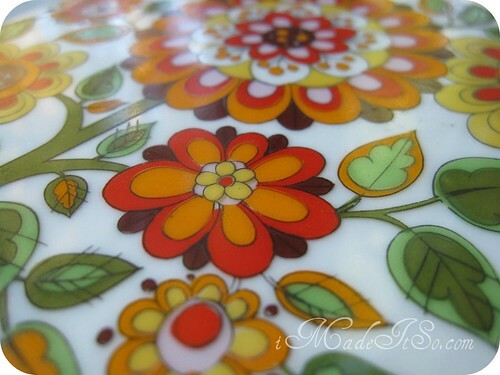 bright floral dish made in brazil | i made it so. 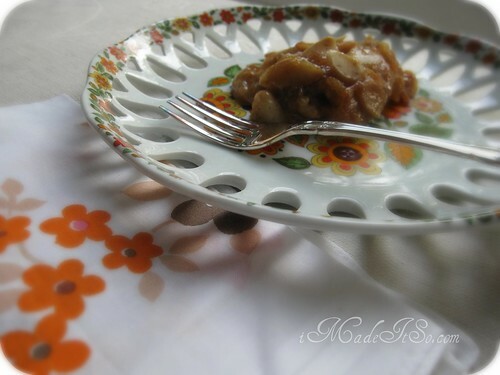 the other day, halima asked about the dish i used to serve the pear crisp. i don’t know much about it, to be honest. i’m not sure what the “55” signifies. anyone? it was a thrift store find (don’t look so shocked), in like-new condition. what attracted me to it was the floral motif and the interesting shape with the cut-outs. also, someone needs to make a print of this on fabric. mama needs a new apron! ;-) seriously though, wouldn’t it make a nice bolt of thick cotton-hemp fabric? does anyone know anything more about this dish or pattern? it’s a fun one, for sure. thanks for asking and appreciating the little details, halima. 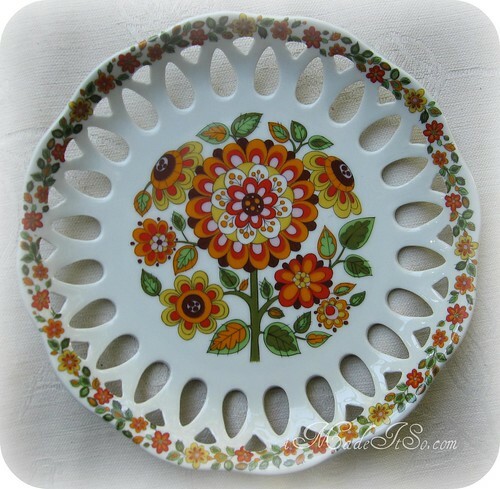 This entry was posted in in the kitchen, thrifting & vintage and tagged brazil, dish, floral pattern, orange, porcelain, schmidt. Bookmark the permalink. it is a lovely sunshiny and colorful dish, the cutouts along the edge are also the bomb :) I really enjoy turning china over and looking at the logo and it’s funny because I am not a logo kinda gal like for clothes and such … would Love to know what the 55 represents too! Hi the number could be for the pattern or it could be the amount made I’m going more for the pattern number. thanks zowie, i bet you’re right. I love the cut out areas, what a find! So pretty and a quillable design for sure! ann ~ i love the way you see things! Porcelana is Spanish for porcelain. The ’55’ might be the design number. Schmidt is the name of the company. And it’s design name is SHM12 by SCHMIDT. I found this on Replacements, Ltd. website! It might be a sandwich plate? looks like i’ll have to do some digging around on that site. thank you beth! What a wonderful find! This is so so pretty, I would have taken it home with me too :) Hopefully you’ll find more one day. Those needlework prints surrounded by all that cheery orange – what a perfect fit for your kitchen – how did I miss that post? Thank-you for mentioning me on your blog and sorry for the long wait for a response, I just got back on-line late last night. Porcelana is Portuguese for porcelain. Schmidt is a good and traditional trade in Brazil. There are a lot of beautiful pieces. 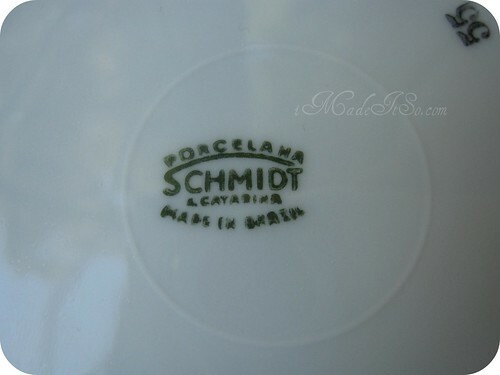 Porcelana Schimdt is a good porcelain industry in Brazil. The 55 number may be some code of them, but it is also the phone area code for Brasil. my mum has the same plate only with pink flowers and we have been trying to find out about it also. there are no numbers on her plate and the pattern is slightly different and about 25yrs old. I found one in a thrift store too! Pingback: thrift share: mikasa california poppies | i made it so. 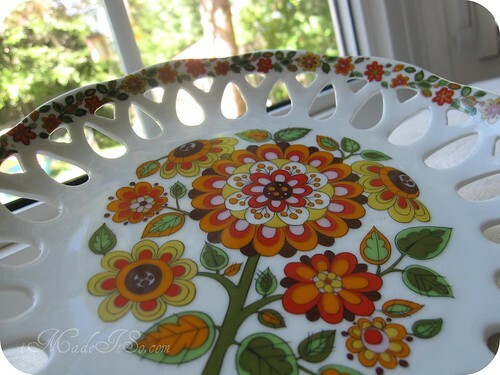 I have 4 plates with blue, orange, yellow & green flowers that were my mother in laws. I’m trying to find out how much they’re worth. They are beautiful, but don’t match my décor. I have a large one like that with the same print but without the cutouts. Maybe 14inches. Very beautiful.